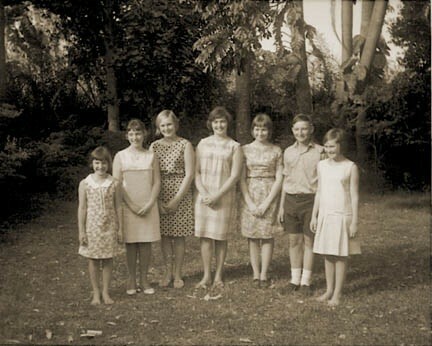 The seven Whites. 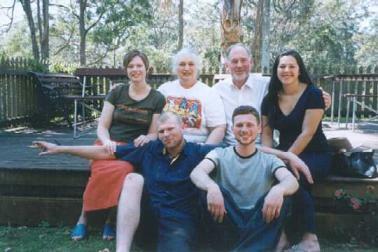 Photo taken in about 1967 at the old White home in Redland Bay. 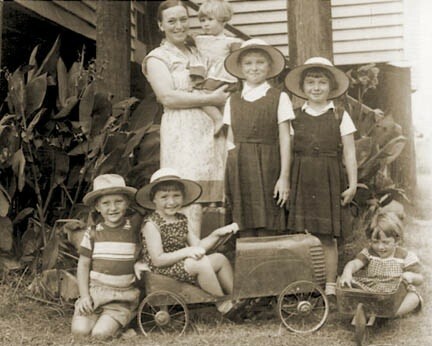 Ella White, holding Annette - 1956, at Nanango, Queensland. School girls Marion and Joy. 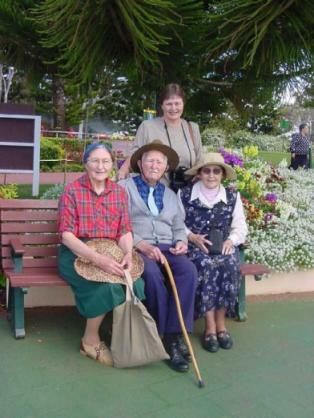 Frank, Jane in the car, and Barbara with the wheel barrow. 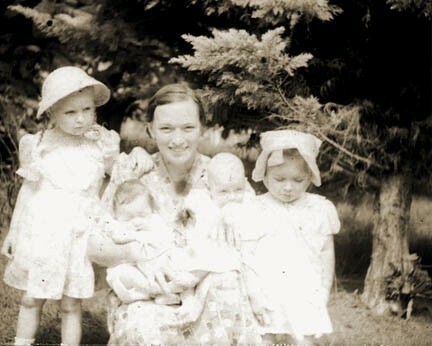 Ella holding her twins, Jane (with hair) and Frank (without). 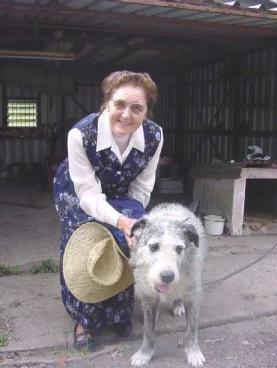 Marion (with plaits) and Joy (with a ribbon under her bonnet). 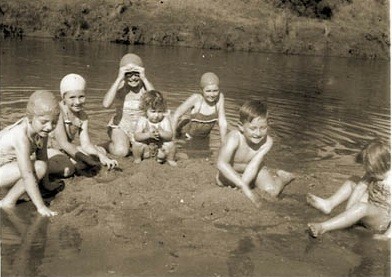 1952, Brisbane, Queensland. 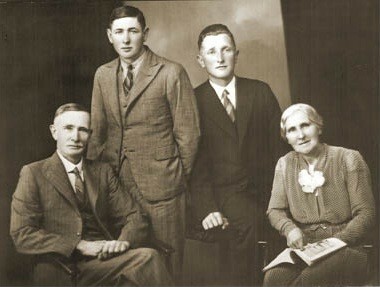 Young Hilary and Frank White with their parents, Frank and Jane. 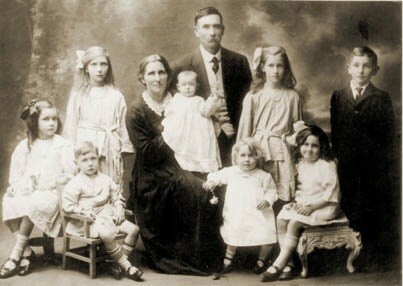 Frank and Jane White, of School of Arts Road, Redland Bay, Qld, with their eight children c1920. 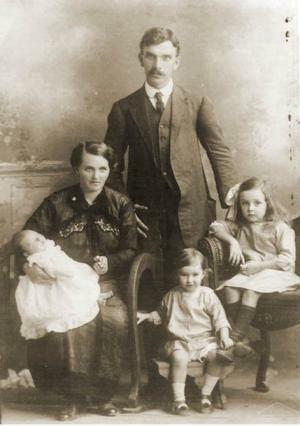 Thomas and Jessie Davidson, with Isabella (the baby), Evelyn, and Betty c1915. 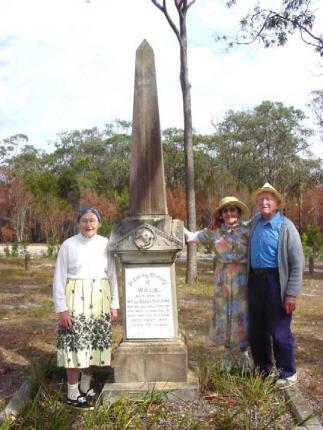 Aunty Ruth, Aunty Lucinda, and Dad, at the grave of their uncle Willie Fielding, in the old Redland Bay cemetery. 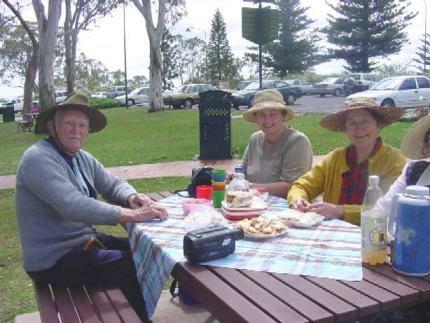 Frank, Anne Birch (cousin) and Dad at Currumbin beach, September 2001. Dad had a swim in the surf - said he felt a bit shaky on his pins, but enjoyed it! He died 2nd October. 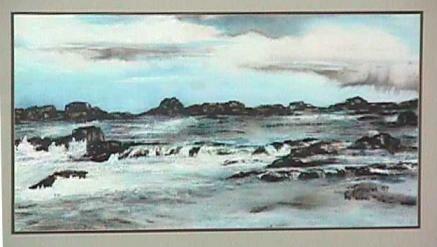 Seascape at Philip Island, a place we love to visit on Victoria's southern coast. Ink & watercolour painting by Joy. A boat trip to Philip Island's seal colony at Seal Rocks. With us is Joy's cousin Paul, visiting from USA. 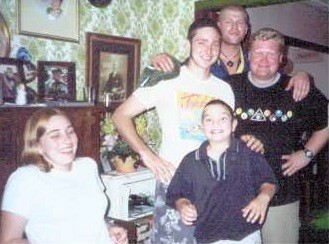 Paul brought a digital camera which has made this photo page possible.